(August 2, 1945) -- Technical Sgt. 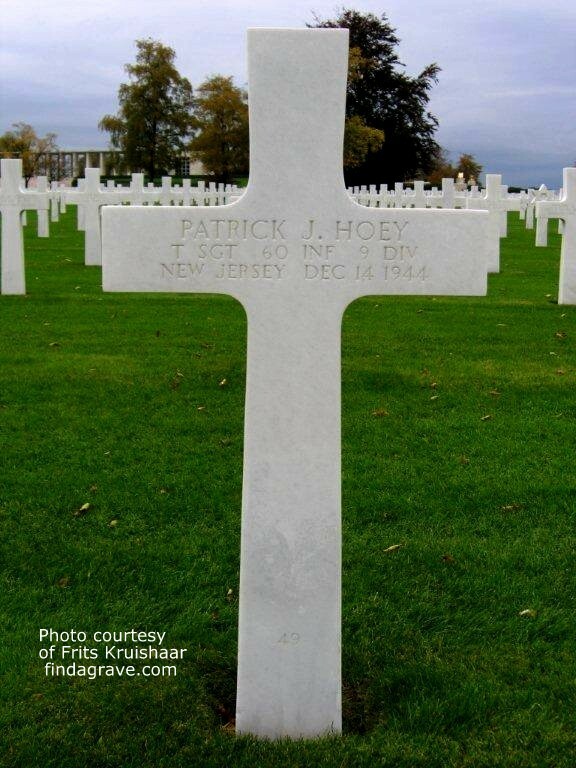 Patrick J. Hoey, 25, was killed in action on Dec. 14, while serving with the First Army in Germany. Born in Long Island, Hoey lived with his aunt and uncle for 10 years on 18 Prospect Street in Belleville. Hoey was wounded in Tunisia in 1943, and awarded the Legion of Merit. Hoey was also wounded during the Normandy campaign. Acting Adjutant General Maj. Gen. Edward F. Witsell presented the Silver Star and Bronze Star to the young soldier's aunt, Mrs. Daniel Hoey of Prospect Street. Hoey was inducted into the service January 1941.